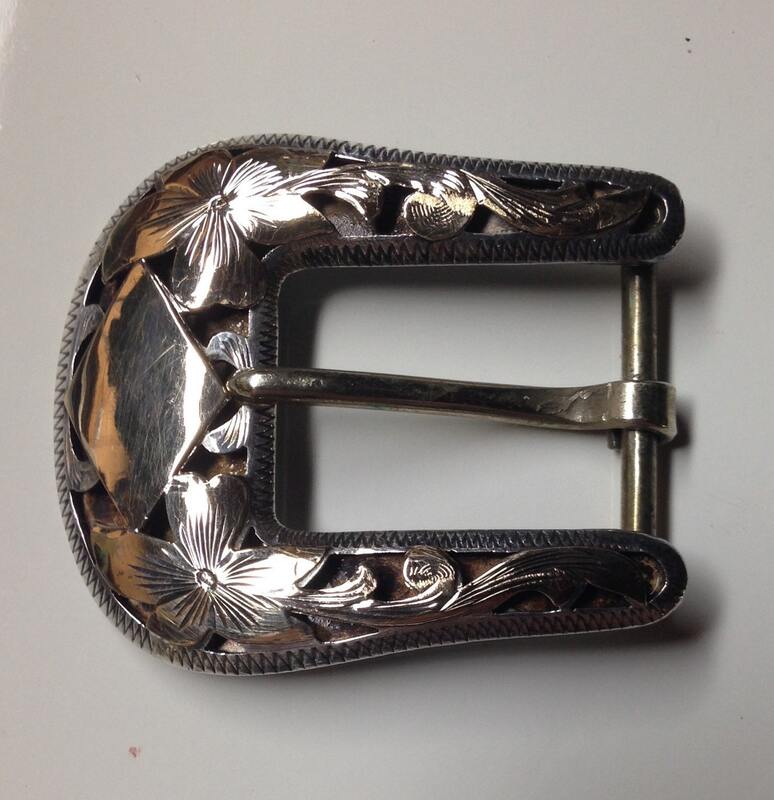 Rare and scarce 3/4" sterling silver buckle by the legendary Vogt silversmiths. Vogt is a small multi-generational family owned business located in California utilizing Mexican silversmiths to execute their designs. They hold a special place for people as diverse as cowboys in West Texas to skiers in Aspen. Hand cut 14 karat gold fill floral scroll work and hand chased zipper sterling silver edge. 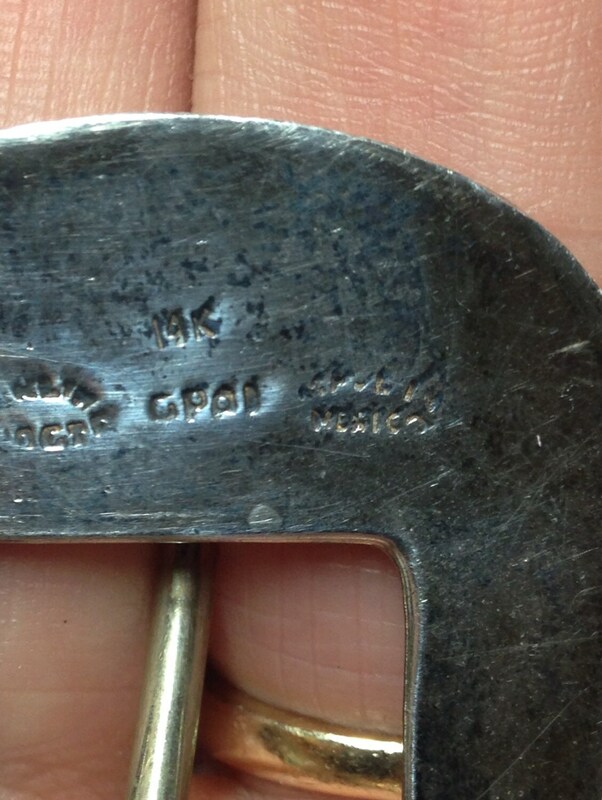 Item has a diamond cartouche that has not been personalized (but could be). Vogt buckles carry an unconditional lifetime guarantee, "If for any reason your Vogt sterling accessory breaks, bends, or twists, we will repair or replaced that item free of charge - no questions asked." Per a recent assessment by the kind folks at Vogt, this buckle was made, "in the line in the early 80's was built with solid sterling and solid 14k gold, it is all hand cut, they use a tiny jewelers saw to make all those individual cuts throughout it, most certainly a stunning buckle!" It has acquired a perfect patina from the years. Vogt appraised it at $1600 fair market value. Make an offer. Dimensions: 41mm (1.6”) x 48mm (1.9”) with a 22mm (3/4”) strap width (billet). Add a custom strap to this buckle in walnut, chestnut, or black. It takes 1-2 weeks and I can provide an estimate (starting at about $50) based on the particular strap needed. Convo for details.